No need to head for the hardware store to pick up a DIY solar panel kit. Instead, just take a trip to the local supermarket–if you live in the U.K., that is, where Sainsbury’s has teamed up with British Gas to offer solar panels and other energy-related items on store shelves starting this week. The addition of solar panels in Sainsbury’s stores is part of the new Sainsbury’s Energy program, which will also offer insulation, gas and electricity deals, home energy assessments, and a crew of “energy experts” available for advice. It’s all part of the supermarket chain’s plan to make energy products as important to its business as milk, eggs, and cereal. 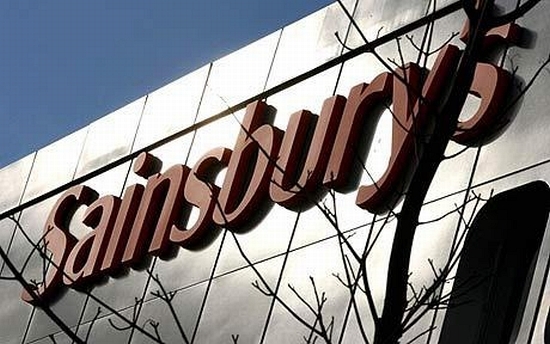 reduce costs, while also reducing carbon emissions,” Sainsbury CEO Justin King said in a statement. Sainsbury’s has been a leader in sustainability for years; in 2009, one store location began using kinetic road plates to power checkout lines, and last year, the chain began building a network of bee hives across London. If panels start flying off the shelves–and if solar panels continue to get cheaper and more efficient–they might just become commonplace in supermarkets and other one-stop consumer shops.